The heart, lungs and blood vessels all work together as a unit! 1. Cardio refers to the heart. Vascular refers to the system of blood vessels. 2. These vessels can be either Veins (bring de-oxygenated blood back to the heart) or Arteries (bring oxygenated blood from the heart to the muscles and organs). 3. Deoxygenated blood enters the heart in the right atrium. Next it is pumped into the right Ventricle. Blood then travels to the lungs to pick up oxygen before it returns to the left heart to be pumped out to the body. 4. Where is your heart and how big is it? Your heart is located in your rib cage, in between your two lungs. Your heart is about the size of your fist. Left Atrium: holds oxygenated blood from the lungs. 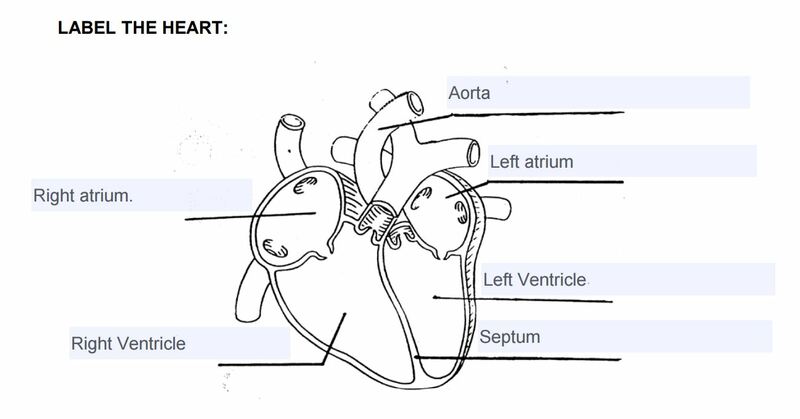 Left Ventricle: pumps oxygenated blood throughout the body. Right Atrium: holds deoxygenated blood that has returned from the body. Right Ventricle: pumps deoxygenated blood to the lungs. Aorta: the largest artery in the body – transports oxygenated blood from the heart to the body. Septum: the thick wall that divides the heart into two separate sides. 5. What heart related illness is the leading cause of death in North America? 7. List three strategies for preventing heart disease? 1. How do you exercise the heart? In order to exercise the heart, you have to do a physical activity. When your heart is transporting blood and oxygen to and from the lungs, it is working and technically exercising. But in order for your heart to have a “good exercise”, you need to work hard when doing physical activities. Since your heart is a muscle, it is good for it to get exercise so that it becomes stronger, and also so that it stays healthy and can perform to the best of its abilities. a. 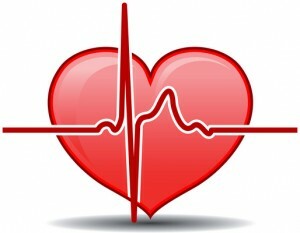 Resting Heart Rate: Your resting heart rate is your heart rate when you are at complete rest. A low resting heart rate shows that you are in good shape. b. Maximum Heart Rate: Your maximum heart rate is when you have worked to your absolute maximum, and can’t handle any more. Your heart rate will be fastest then. c. Target/Training Heart Rate: Your target/training heart rate is the goal that you want your heart rate to be when exercising and/or doing physical activities. It should be somewhere in between 144bpm to 175bpm. d. Recovery Heart Rate: Your recovery rate is your heart rate after exercising and/or doing physical activities. It is when your heart rate is recovering after exercising.